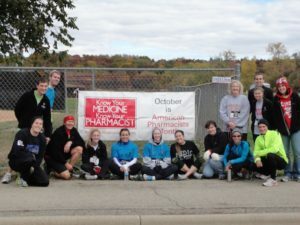 MEDiC, which is a combination of several free clinics throughout Madison, is run through the School of Medicine and Public Health by student and professional volunteers from various health care backgrounds. The goal of these clinics is to provide access, resources and care to low-income patients who may not be able to receive care otherwise. MEDiC is a great opportunity to get hands-on learning experience, work as part of an interdiciplinary medical team, and make a difference in the lives of our community! For more information, please email our MEDiC liaison, Cassie Sedgwick (cssedgwick@wisc.edu). For more information regarding MEDiC, please click on this link!